When you plan for retirement, Social Security is a part of your total retirement solution in order to retire without having to go back to work to pay bills. We’ve talked about how there is some concern over the longevity of Social Security, however, for the meantime, Social Security isn’t going anywhere. In fact, there are some minor changes happening for the next year that can benefit those currently utilizing Social Security, and provide added benefit for those looking to retire in the next few years. 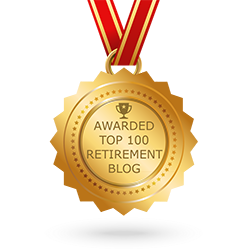 Understanding various Social Security strategies as one of your many retirement strategies is important whether you’re planning to retire or have already started your retirement. Keep in mind these changes coming in 2017 to the Social Security system and how they may affect your check. 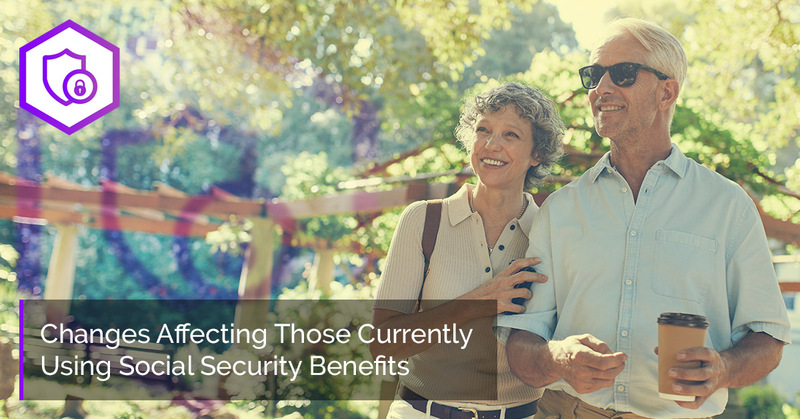 For those who are not currently utilizing Social Security benefits, there are several ways in which you can still be affected by the changes taking effect next year. The changes that we will cover include what money is taxed to go into the Social Security “pot” and how the benefits are changing for those retired but still bringing in some form of work income. Part of the discussion behind the sustainability of Social Security is now that more and more individuals use it in retirement, how will it continue to be funded? Increasing the tax cap for what workers can be taxed on for Social Security is one way. The tax cap for 2017 is being raised from $118,500 to $127,200. That means that 6.2 percent of a worker’s wages up to $127,200 will be placed into Social Security, and employers will match this. The argument for this is that individuals are making more and the average wages are now higher, therefore, a higher tax cap should be in place. That means if you already make $127,200 or more, you will be contributing an additional $539.40 per year to the Social Security system. This change affects over 12 million American workers. The changes to Social Security also will affect those who have officially retired and are old enough to collect Social Security benefits, but also those who are still earning an income at retirement age. The current earning limit for individuals between the ages of 59 to 65 is $15,720. This will increase to $16,920 in 2017, meaning that individuals younger than 65 who are enrolled in Social Security benefits and still working, part- or full-time, will lose benefit money if they make more than the new maximum earning amount. This does not mean that an individual will lose money indefinitely, as once an individual turns 66 Social Security benefits are no longer withheld based on earned income and the benefits will actually increase to make up for previously withheld benefits. Along with changes to the Social Security system that affect individuals paying into the system or still working while collecting retirement benefits, there are several changes happening in 2017 that simply affect those currently collecting Social Security checks as a portion of their income. The Social Security Administration will be adjusting payments based on cost-of-living, increasing payments by 0.3 percent. This means that individuals currently utilizing Social Security will have an increased payment of approximately $5 per month. This percentage is determined using the Consumer Price Index for Urban Wage Earners and Clerical Workers. Cost-of-living adjustments can vary widely from year to year based on this index. Additionally, the maximum benefit check that an individual can receive when they retire at the full retirement age of 66 will increase by $48 for 2017. This maximum payout will become $2,687 per month for individuals who start benefits at age 66. However, if you delay starting Social Security benefits, your monthly checks can be higher. Probably one of the biggest changes coming in 2017 for individuals drawing on Social Security benefits affects married couples that both have a work record. Previously, dual-earner couples were allowed to claim a spousal payment that was worth half of the higher earner’s benefit and then later switch to payments based on an independent work record that would include delayed benefits from holding off on the higher amount. Starting in 2017, individuals who are currently 62 or younger will no longer be able to cash in on both the spousal payment of half and then switch to an independent payment. Married couples in retirement will only receive the higher of the two benefit options and no longer be able to switch between the two types. Understanding Social Security strategies and changes in terms of your retirement options can be tricky and often difficult. Let Income For Life help you to figure out the best options for your retirement and how Social Security factors into the equation. Set up a free Social Security review today.